Do I need to report my reckless driving conviction on a job application? When you are charged with reckless driving, it is not just a traffic ticket. It is a Class 1 misdemeanor in Virginia, and you will have a permanent criminal record if convicted. 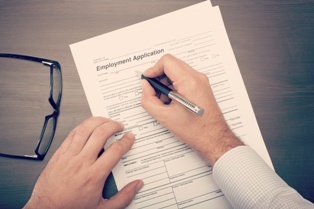 Because of this, you may have to disclose your conviction on job applications, which may impact your job prospects when hunting for a job in Fairfax and throughout Northern Virginia. When Do You Need to Disclose a Reckless Driving Conviction on a Job Application? Have you ever been charged with a crime? If you are asked this question, you would need to answer yes, because reckless driving is a criminal offense. Have you been convicted of a crime? If you were convicted of reckless driving, you would answer yes to this question. If the charge was dismissed or was reduced to a traffic violation that is not a misdemeanor, you most likely can answer no. However, if the charges were dismissed based on you completing community service or a driving school course, you do not have to disclose your reckless driving charge as long as it was dismissed or reduced to another offense after you completed the deferral conditions. Have you been convicted of a felony? Reckless driving charges are misdemeanors. However, in certain situations the same behavior that would be reckless driving could also be a felony. Depending on what you are charged with, you may or may not have to answer yes to this question. It is important to keep in mind that reckless driving is most often a misdemeanor, not a felony. Many employers will consider a misdemeanor conviction in a much different light than if a person was convicted of a felony. In addition, some employers only ask about convictions for the last 10 years. If your conviction occurred earlier than that, you would not need to mention it in this situation. However, a reckless driving conviction may prevent you from obtaining employment in certain professions that require driving. For example, driving instructors at schools and individuals with commercial licenses may not be able to keep their jobs. Likewise, it may be difficult to gain employment at jobs where driving is required by the employer (e.g. construction jobs, Uber/Lyft). What Happens If You Fail to Disclose Your Reckless Driving Conviction? If you are required to disclose your conviction and fail to do so, your employer may discover it when doing a criminal background check. Your answer would most likely be considered untruthful and may be grounds not to hire you or to terminate you. Employers are typically more concerned about deceit than the fact that you were once convicted of reckless driving, especially if it occurred years ago. You can avoid some of the harsh penalties and long-term consequences of a reckless driving conviction by retaining an experienced reckless driving attorney in Fairfax. To learn how we would aggressively mount a defense to the charges you face, fill out our convenient online form to schedule a free consultation today. Am I pleading guilty if I sign a reckless driving ticket? When you are charged with reckless driving in Fairfax, it is different than being charged with other crimes. Typically, you are not handcuffed and taken down to the police station to be booked and jailed. Instead, the police officer gives you a ticket (called a summons) and asks you to sign it. Should You Sign the Reckless Driving Ticket? Reckless driving is a Class 1 misdemeanor in Virginia. While an officer can arrest you for the offense, they usually do not. Instead, you are asked to sign the summons, which is a promise to appear in court. Below is some information you may find on your summons and an explanation of the legal effect of signing the summons. You are not pleading guilty to reckless driving by signing the summons. It is only a promise that you will be in court. If you do not live up to that promise, then you could be arrested or otherwise brought to court to explain why you did not appear for your court date. What Happens If You Refuse to Sign the Summons? If you do not sign the summons, the police officer may assume that you do not intend to appear at future court hearings. He can arrest you and take you to the police station for booking as a result. The police have discretion in deciding to arrest individuals charged with certain less serious offenses, such as reckless driving. Refusing to sign the summons can be enough of a hindrance or annoyance to the officer for them to justify your arrest. Additionally, by not signing the summons, you come across as rude and uncooperative, which is likely a factor that will play into resolving your case. Signing the summons is a good strategy to avoid these negative consequences. While you should sign the summons, it is not in your best interests to just plead guilty and accept your punishment. If convicted, your sentence may include jail time, hefty fines, driver’s license suspension, points on your driving record, and a permanent criminal record. Even if you are guilty of this crime, you may have strong defenses that can result in the charges being dismissed or reduced to a less serious offense. Our experienced reckless driving attorneys will aggressively fight the charges you face so that you achieve the best possible outcome. Call our Fairfax office or start an online chat to schedule a free consultation today. 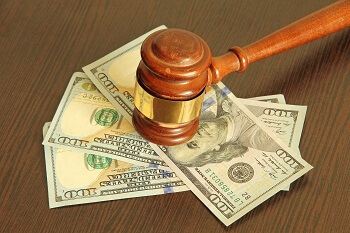 Fines and court costs are technically immediately due once imposed. However, Virginia Code § 46.2-395 allows up to 30 days for payment before the Department of Motor Vehicles (DMV) can suspend a driver’s license for failure to pay fines and court costs. 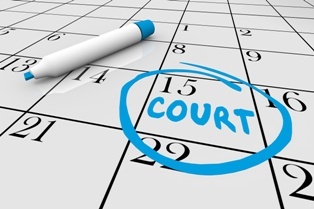 If you are unable to pay your fines and costs within 30 days, you should notify your attorney so that your attorney can request an extension of time from the judge. If the court grants such an extension, you will be given a new deadline for payment. Failure to pay by that deadline will result in the suspension of your driving privileges by the DMV, which will then charge you a reinstatement fee to get your license back after you pay your fines and costs. More significantly, if the DMV suspends your license and you continue to drive, you may face a criminal charge of driving under a suspended license. Therefore, if you need more time to pay after having received an extension of time, it is important to go back to court and request that extension of time rather than simply allowing the time to expire without payment. Do I need a lawyer for a first offense shoplifting charge? Absolutely. A shoplifting charge in Virginia, even for a first offense, is a criminal misdemeanor if the value of the items is less than $500. If the value is $500 or more, it is a felony even for a first offense. Because misdemeanor shoplifting is a Class 1 misdemeanor, it is punishable by up to 12 months in jail and a fine of up to $2,500. More importantly, a shoplifting conviction is a permanent blemish on your record that you will have to deal with for the rest of your life. Having a conviction record could have significant implications for your future, including loss of employment, loss of a security clearance, inability to obtain employment, difficulty obtaining housing, or deportation or ineligibility for immigration benefits if you are not a U.S. citizen. Some jurisdictions, such as Fairfax County, have a first offender program for misdemeanor shoplifting. This program requires you to admit your guilt first, after which the court defers entering its finding of guilt and places you on probation for a period of time. As part of probation, you will be required to complete a shoplifting education course and a certain number of hours of community service, while also remaining of general good behavior. At the end of the probation period, assuming you successfully completed it and did not violate the law again, the charge is dismissed. 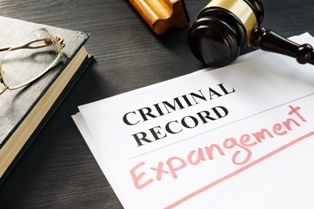 However, it is very important to note that a charge dismissed under this kind of deferral cannot be expunged from your criminal record under current Virginia law. Moreover, many jurisdictions do not offer first offender shoplifting programs. 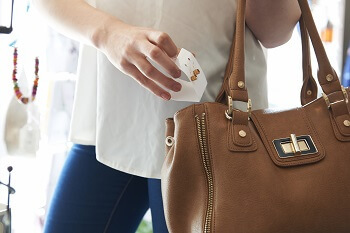 If you are facing a shoplifting charge, it is critically important to retain an experienced criminal defense attorney to guide you through the process and attempt to obtain the most favorable resolution possible. What Do The Points On My Driving Record Mean? If you are a Virginia-licensed driver, you are subject to the Virginia Department of Motor Vehicle’s (DMV) demerit points system. Each and every moving violation (speeding, reckless driving, failure to obey a highway sign or traffic signal, etc.) carries a pre-assigned demerit point value. The number of points assessed depends on the nature of the offense. So what does it mean to accumulate a certain number of demerit points and how do you know how many points you will receive for a particular traffic charge? Below, you will find the answers to both questions. A comprehensive list of all the different violations and their corresponding demerit points can be found on the DMV’s website. The demerit points are divided into three categories: 3-point offenses; 4-point offenses, and 6-point offenses. Some common 3-point offenses include: exceeding the speed limit by 1-9 mph, improper driving or passing, driving on the sidewalk, driving without proper lights or excessive lights, improper turns, and failure to obey a highway sign or traffic signal. Common 4-point offenses include: exceeding the speed limit by 10-19 mph, unsafe passing, failure to yield the right of way, following too closely, failure to obey railroad crossing markings or lights, and other offenses. Finally, some common six-point offenses include: reckless driving of any kind, exceeding the speed limit by 20 or more mph, driving under the influence (DUI) of any kind, vehicular manslaughter, driving as a habitual offender, driving on a revoked or suspended license, failure to stop at a crash, and others. Aside from the penalties imposed for the specific offense charged, the DMV will assess the corresponding demerit points to your driving record. Those demerit points can be viewed by insurance companies and may impact your insurance rates. Those points are also used by the DMV to take administrative action. Drivers who are 18 or older can be the subject of administrative action depending on the number of demerit points they accumulate within a rolling 12 or 24-month period. An adult driver who receives 8-11 points in 12 months or 12 points in 24 months will receive an advisory letter from the DMV stating they could be the subject of further action. If the driver accumulates 12 points in 12 months or 18 points in 24 months, they will be informed by DMV that they are required to complete a driver improvement clinic within 90 days of the letter. Failure to complete the course can lead to suspension of your license. If the same driver accumulates 18 points in 12 months or 24 points in 24 months, then their Virginia license will be suspended for 90 days and they will have to complete another driver improvement course. After the course is completed and 90 days have passed, the driver will be placed on a 6-month, DMV-monitored probationary period. Any driver placed on probation must complete the probation period without being convicted of any new moving violations while on probation. If the individual is successful, they are not out of the woods yet. Instead, they have to then complete an 18-month Control Period. If any new offense is committed while in the Control Period, the driver will be returned to a 6-month probationary period. If the driver is on DMV probation and commits a new moving violation, they face additional consequences. Any 3-point offenses on probation lead to an automatic 45-day suspension of the individual’s license. Any 4-point offenses on probation lead to an automatic 60-day suspension. And, any 6-point offenses on probation lead to an automatic 90-day suspension. These suspensions are in addition to (or run consecutive to) any existing suspensions. So, if a court suspends the driver’s license for 30 days, and the offense was a 3-point offense committed while on DMV probation, the individual will end up losing their license for 75 consecutive days (45 +35). It is easy to get caught in the cycle of probation, Control Periods, and license suspensions if you are not careful and are prone to poor driving. Moreover, you are not guaranteed to receive a restricted operator’s license (ROL) while on DMV suspension. All DMV-based ROL applications are completely discretionary. And, if you have committed two or more DMV probation violations and there was no intervening Control Period, then you are prohibited from getting a ROL. The DMV’s administrative framework is complicated and convoluted at times. It is difficult to understand and easy to get lost in the potential consequences of a traffic infraction. If you have received multiple tickets in a short period of time, you need to be aware of the additional administrative penalties that may accompany an additional conviction. Our attorneys frequently deal with these issues and know how the DMV’s administrative regulations work. 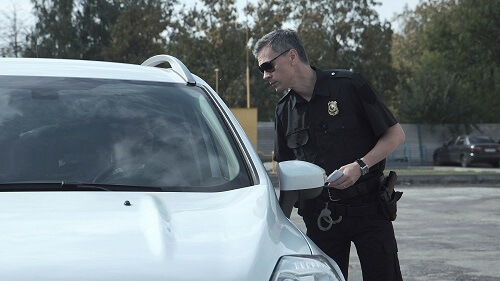 Contact the traffic attorneys at Greenspun Shapiro today to find out what a traffic ticket could do to your driver’s license and what options you may have to avoid harsh administrative, and other, penalties. Do I have to install an ignition interlock device if convicted of a DUI in Virginia? One of the many harsh penalties you face if convicted of DUI in Virginia is that you will be required to install an ignition interlock device on your vehicle in order to obtain restricted driving privileges. This is true even if this is your first DUI conviction. You are not permitted to drive at all until you have the device installed on your vehicle. The judge sentencing you will determine how long you must have this device on your vehicle, but it will be for at least six months. An ignition interlock device is a type of breathalyzer that connects to your car’s ignition. 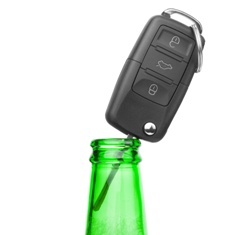 You are required to breathe into the device before starting the engine, and if your blood alcohol content (BAC) is over 0.02 percent, the device will prevent your vehicle from starting. You must also submit to rolling tests, which are retests approximately every 20 to 30 minutes of driving. If you fail a retest, an alarm sounds, lights flash, and you will be unable to continue driving. The ignition interlock will also come with an electronic logging device. The electronic log keeps a record of your BAC during attempted starts of your vehicle and rolling tests. It also documents any attempt to circumvent or tamper with the device. The log will be monitored by Virginia Alcohol Safety Action Program (VASAP). Who Pays for an Ignition Interlock Device? You must use a court-approved company to install and maintain the device. You are required to pay for its installation and a monthly maintenance fee. Currently, these companies are not charging to install the device, and the monthly maintenance fee is approximately $75 to $80. Under Virginia Code § 18.2-270.1, it is also a crime to tamper with or attempt to circumvent an ignition interlock device. This can include a variety of things, including allowing someone else to give a breath sample, blocking the camera, or breathing through another device. This offense is a Class 1 misdemeanor. If you have been charged with DUI in Fairfax or Northern Virginia, or have questions about your obligations to install an ignition interlock device, our experienced DUI attorneys are here to help. Call our office or start an online chat to schedule your free consultation today. Can my reckless driving conviction be expunged in Virginia? What happens to a non-resident who gets charged with DUI in Virginia? 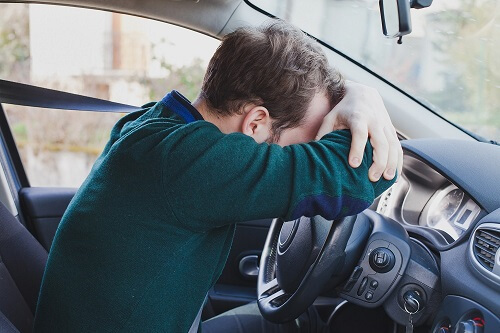 Being charged with DUI can be even more stressful if you are an out-of-state resident traveling in Virginia on vacation, on your way to work, or for business. Unfortunately, this is common because of the proximity of Maryland and Washington D.C. to our state and Virginia’s aggressive prosecution of DUI. 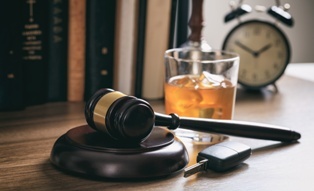 If you are a resident of another state and have been charged with DUI in Fairfax or Northern Virginia, you need to retain an experienced local DUI attorney as soon as possible. You may be sentenced to up to 12 months in jail, but this may be suspended by the judge if you satisfy other conditions of your sentence. If your BAC was between 0.15 and 0.19 percent, there is a mandatory jail sentence of five days. This mandatory jail sentence would increase to 10 days if your BAC was 0.20 percent or higher. You may be ordered to pay a fine of between $250 and $2,500. You must complete the Virginia Alcohol Safety Action Program (VASAP) and may be sentenced to up to one-year probation. Your driver’s license would be suspended for one year, but you may be able to obtain a restricted license allowing you to drive for certain approved purposes. In addition, you would be required to install an ignition interlock device on your vehicle in order to drive, even on a limited basis. You would have a permanent criminal record. Almost all states are part of the Driver License Compact (DLC), which is an information sharing agreement to notify each other of traffic offenses and driver’s license suspensions or revocation. As a result, you may face the same loss of your driving privileges in your home state. Are you an out-of-state resident who has been charged with DUI in Virginia? 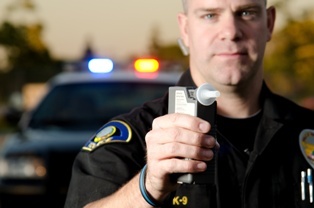 Our experienced DUI attorneys have helped many non-residents facing these charges. To learn how we can assist you, call our Fairfax office to schedule a free consultation today. Unlike many other states, Virginia does not have a law that expressly prohibits passengers in a vehicle from having an open container of alcohol. However, if an open container is found in your vehicle and you are driving, you may face severe consequences under Virginia’s open container law.